And this earring is also for her. Should look good with the brangle. 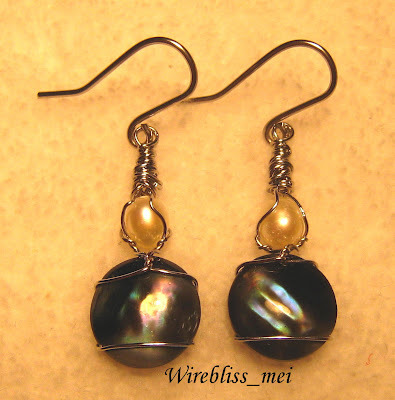 All component of the earring except for the pearl are handcrafted - 20g for the hook and 26g for the wrap around the shells.